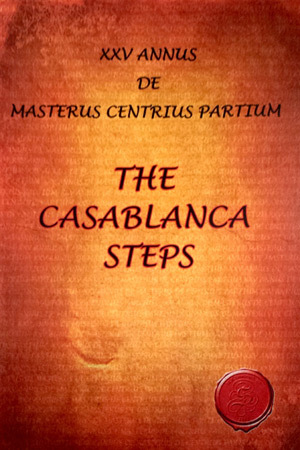 We are absolutely delighted to announce the very first long awaited DVD video recording of The Casablanca Steps to celebrate their 25 years together. 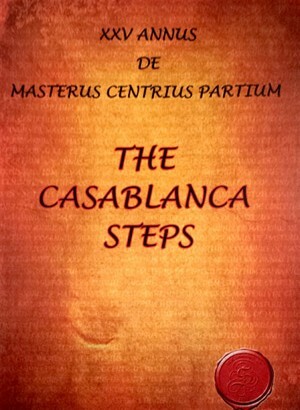 This exciting new arrival to The Casablanca Steps range of available recordings features 21 tracks and includes never before seen footage from some of their TV appearances, together with the all new songs, Trail Of The Lonesome Pine and I’m My Own Grandpa, plus bonus outtakes from the making of the DVD. Those of you who have seen the hilarious routines at their live shows will be delighted to see these amongst many of the classic songs on this DVD. You can be assured that if you are one of the many followers of The Casablanca Steps and have longed for a visual memento of their performance, then your wait is over.